Blog Keep up to date with all the latest news about La Boqueria products. So proud of our La Boqueria Pamplona 45! 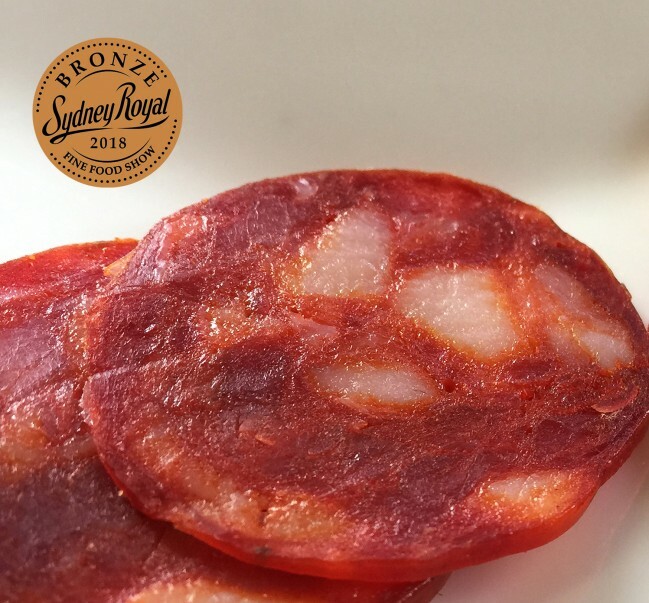 CLASS: 15 Traditional Salami - Bronze Medal winner Sydney Royal 2018. Thank you Sydney Royal! La Boqueria Pamplona 45 is a perfect addition to tapas or your next bocadillo. 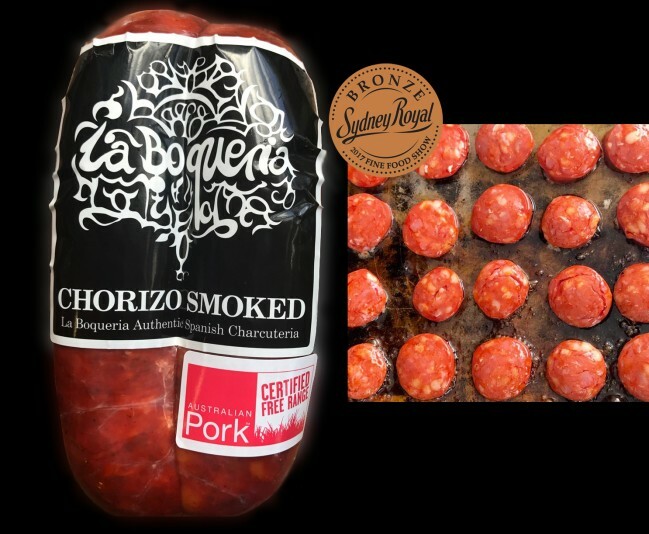 Made with Australian pork and our traditional Spanish recipe, (handed down with love and responsibility by the family), this paprika driven air cured chorizo has a coarse grind, with delicious intense flavour and dry finish. La Boqueria Fuet Anis, Gold Medal winner! So proud of our La Boqueria Fuet Anis! 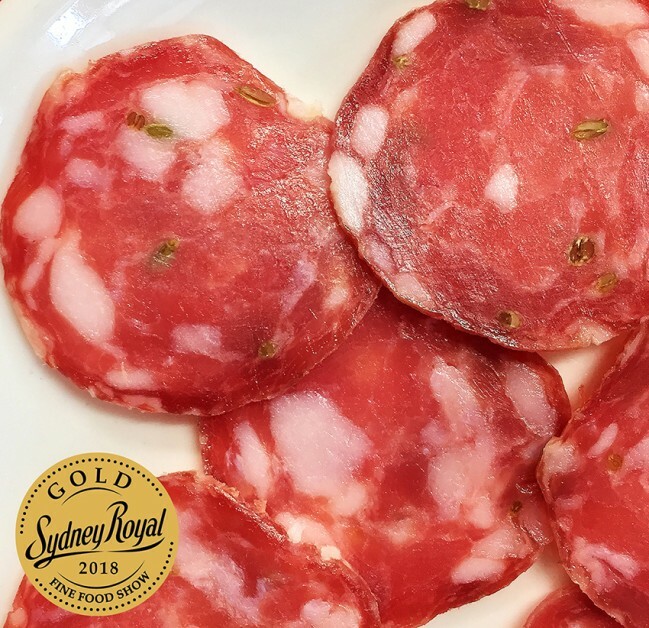 CLASS: 15 Traditional Salami - Gold Medal winner Sydney Royal 2018. Thank you Sydney Royal! Pork and fennel are so perfect together in our fantastic Fuet Anis salami. Made with whole fennel seeds and cured to a semifirm state, with a moist feel and a full fennel flavour, this amazing recipe came to us from a local butcher in a town called La Garriga, in the north of Barcelona, who produces the religiously respected recipies of Catalunia but on some days, needing to stamp his mark, he makes the old recipe his grandfather used to make. The Fuet Anis. We have been busy visiting some of our Sydney stockists, sampling some of our delicious Charcuterie. For a comprehensive list of retail Stockists and Distributors, please check this link. Be sure to follow us on Facebook and Instagram for updates on products and new delicious destinations. 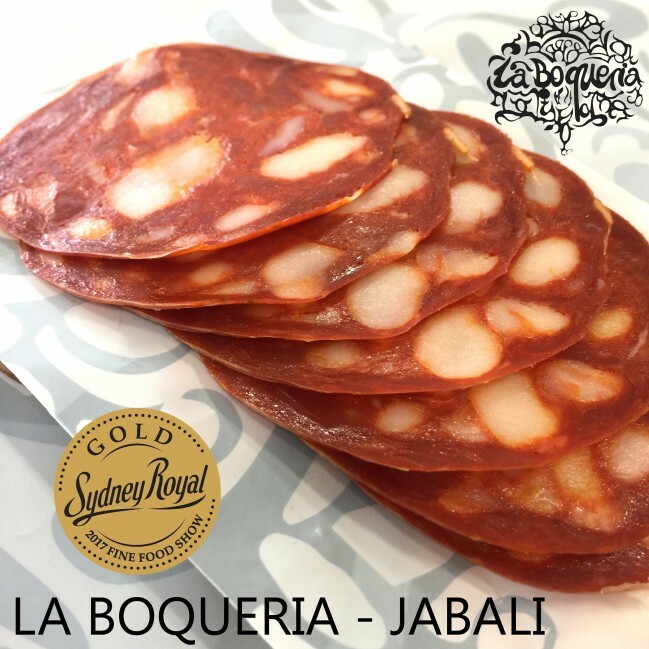 La Boqueria Jabali (Wild boar Salami) Gold Medal Winner! CLASS: 23 - Gold Medal winner Sydney Royal 2017. La Boqueria Jabali Is a classic “embutido” in the “Pata Negra” chorizo style. Full sweet gamy flavours filled with pimenton and a robust meaty texture. 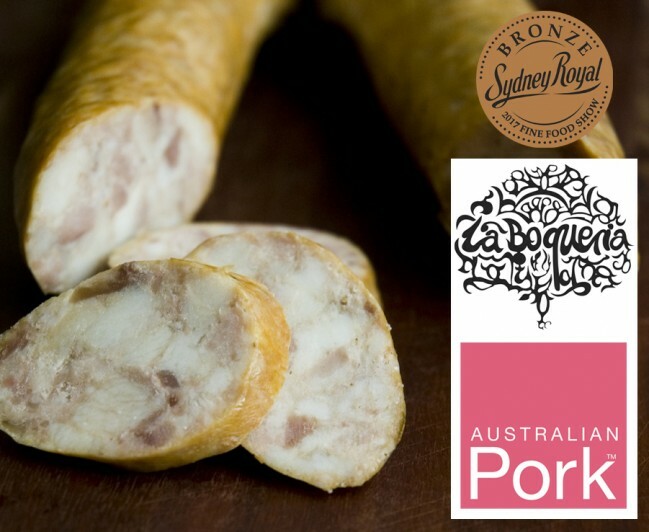 We develop the Iberico flavour and texture notes using Wild Boar from the Mungo National park in outback NSW. @laboqueriaau We don’t stray far from perfection created by artisan methods and ideals in Spain. We make products Spaniards would be proud of. Thank you Sydney Royal! 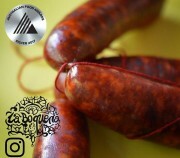 La Boqueria Free Range Chorizo smoked medal winner! CLASS: 61 -Bronze Medal winner Sydney Royal 2017. Thank you Sydney Royal! 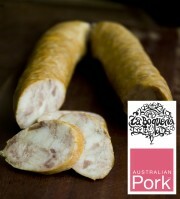 Proud of for our new certified free range Australian Pork, Pecan wood smoked Chorizo! La Boqueria Butifarra medal Winner! CLASS: 35 -Bronze Medal winner Sydney Royal 2017. Thank you Sydney Royal! La Boqueria Butifarra Smoked is arguably the most sensational iconic #embutido in Catalan cuisine. Both the blanca and the negra versions are boiled & contain lean meat, high quality pork fat & spices. They can be eaten without cooking, though equally as delicious grilled. Fantastic as a tapa with 'pa amb tomaquet' & essential to a classic Catalonian dish of beans & local mushrooms. La Boqueria Chorizo Hot medal winner! 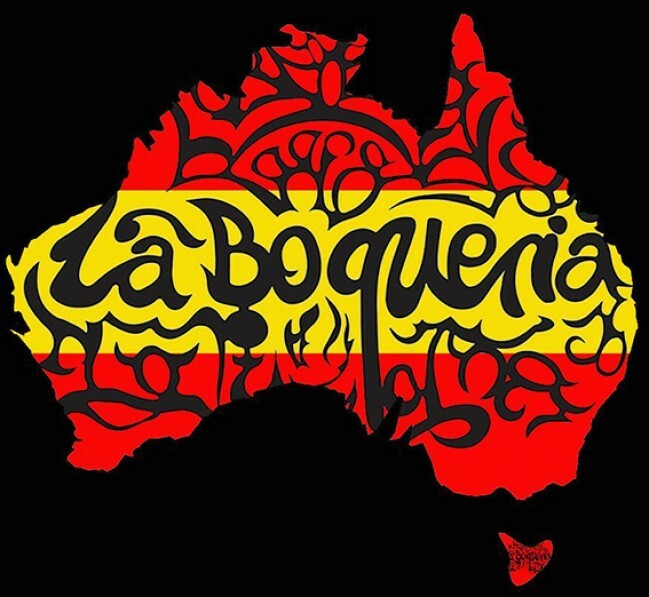 @laboqueriaau We don’t stray too far from the perfection that was created in Spain. We make products that Spaniards would be proud of. We only use the highest quality ingredients and strict artisan methods and ideals. La Boqueria Trufa Wild Boar medal winner! La Boqueria Butifarra is arguably the most iconic #embutido in Catalan cuisine. Both the blanca and the negra versions are boiled & contain lean meat, high quality pork fat & spices. They can be eaten without cooking, though equally as delicious grilled. Fantastic as a tapa with 'pa amb tomaquet' & essential to a classic Catalonian dish of beans & local mushrooms. Our range has grown to include this smoked version of the blanca that is sensational! While it is said that there is a different chorizo recipe for every Spanish village (and a different chouriço for every town in Portugal), they almost always contain a mixture of pork meat and fat, salt, garlic and pimentón. Traditionally, making chorizos was a way of preserving a pig that had been fattened up on summer bounty over the lean cold months of winter. Even today, there are many villages in Spain where the family pig is killed in ‘la matanza’, which translates as ‘the killing’. Traditionally the hind legs were made into jamón and sold to rich people. The front legs were cured and made into paleta. While the loin was made into lomo, much of the rest of the pig was cut up into small pieces and mixed with salt, garlic and pimentón to make sausages. Some of this sausage stuffing meat, ‘el picadillo’ de chorizo, was cooked to feed the workers who helped with ‘la matanza’. This was also a way to make sure there were enough salt and other seasonings in the chorizo. Some of the sausages were stuffed into narrow skins, and used for grilling within a few days or so. The rest were cured to last. While it is possible to import jamón from Spain, it is not possible under Australia’s strict quarantine laws to import sausages. This has seen a pent up demand by Australian diners, met by a rapid rise of Australian manufacturers of authentic Spanish style chorizos. 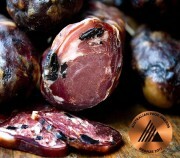 The types of chorizo are chorizo semi curado (semi-cured) and the curado (dry aged). The chorizo curado is the classic firm sausage that is as close as you can get to Spain’s version of the salami. It has undergone fermentation that drops its pH, giving it a clean acidic finish and a long shelf life. It is also air-dried, making it firm and slightly chewy. (In some parts of Spain, particularly the rainy north, chorizo is slowly dried over oak fire smoke – something that some local makers do as well). Chorizo curado is the chorizo you put on the wooden board, take to it with a big sharp knife and cut slices off to serve as a tapa with beer or wine. It doesn’t get more complicated than that. The chorizo semi surado is for cooking and needs to be cooked before being eaten. The skin is still slightly soft, yet it has good shelf life in the fridge. This is the sausage the Spanish put in their slow cooked stews, such as cocido madrileño or fabada asturiana. It is the chorizo you use to cook with eggs to make huevos con chorizo. It is the chorizo you cut up and put in a dish with rough diced potatoes and put in the wood fired oven. This is the chorizo you slice open lengthways and gently grill or fry. The colour and aroma of pimentón dissolves into the fat – which renders out when the chorizo is cooked. This is perfect when you want the beautiful deep red colour and warm bright flavour to permeate a dish such as potatoes cooked with chorizo. When you’re grilling a chorizo, you need to treat it gently so as to heat it up without releasing all that delicious flavour and aroma. Chorizo in all its forms was never meant to be eaten alone. This is a simple and elegant food that is best enjoyed with family and friends, perhaps with a glass of tempranillo or some decent red from La Rioja. A beautiful thing happens when Australian pork meets Spanish old world techniques.